This entry was posted on July 24, 2015 at 1:59 pm and is filed under information, Pontypool people. You can follow any responses to this entry through the RSS 2.0 feed. You can leave a response, or trackback from your own site. That’s a lovely photo, and could easily have been my dad on there, sadly he isn’t but what a lasting memento of great uncle Alf. Wonderful quality to your photograph. I don’t recognise anyone but, do have ancestors The Pococks of Pontypool living Crumlin St and having a business there (cabinet making) right back to the 1800’s. Thank you – it is surprisingly good quality, considering it is over 80 years old! Thank you for the information on your ancestors – I’ll do a bit of research – no doubt they would have known my ancestors at some point! I’ve only just come across this picture, like you I have been trying to trace my family history, I still live in Pontypool not far away from where your uncle lived. The person in front of him is my father Fred Beech, who lived on the Twmpath, I recall him telling me of his friend Alf, they both signed on with the Royal Navy and went off together, however my father was a coal miner and they would not allow him to go to sea, he was returned home to work in the mines of South Wales. He was always thoughtful of “what if Alf and me were on the same ship”, I guess fate stepped in. 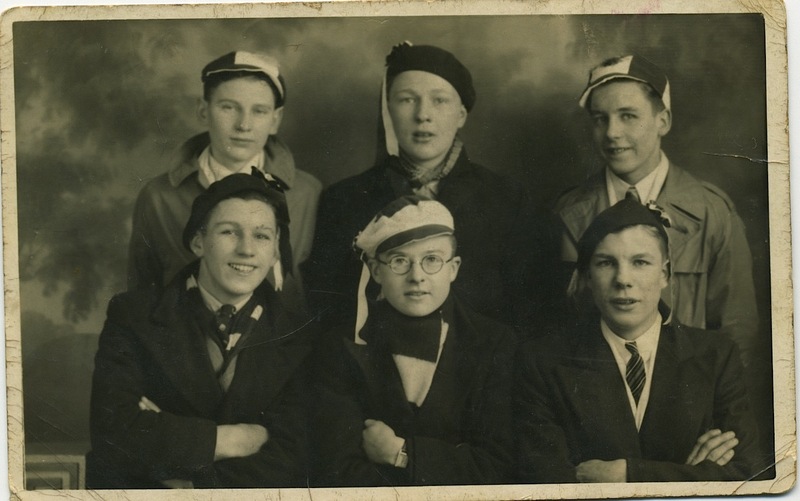 They were about 16 years old when the photo was taken in Cardiff I believe they had all gone to see Wales vEngland rugby at Cardiff Arms Park. Thanks for posting the photo, brought back some great memories, sadly dad passed away about 10 years ago.